Hope was one of the first companies to make hydraulic disc brakes for bicycles, back in the hazy mists of time, some time shortly after the Jurassic period – the 1990s. 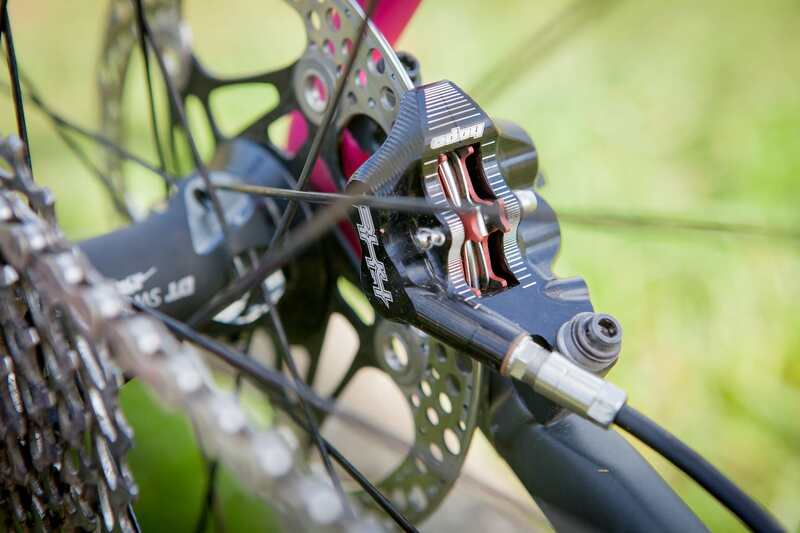 By the end of the decade of all things anodised, disc brakes had slowly but surely begun to nudge out v-brakes on mountain bikes. Their better power and modulation made complete sense on off-road bikes. As we know, it took a long time for road and cross to catch up. But, catch up it has. Shimano and Sram now offer hydraulic drop-bar disc brake options down to Tiagra and Apex level respectively. We can’t remember the last gravel or cross bike that we tested that didn’t at least come with cable-operated brakes. It therefore isn’t any surprise at all to see Hope offering braking for drop-bar users. The only thing is, these curly bars add a few complications. Unlike flat bars, shifting and braking is obviously combined in STIs (technically Shimano Total Integration, but pretty much a ubiquitous term, and we can’t quite bring ourselves to say “brifter”). This means that it isn’t really possible for companies like Hope or TRP to offer a full lever/caliper package, unless they either a) go down the singlespeed route (as per the TRP Hylex), b) manufacture a full STI or c) produce replacement calipers that offer benefits over the stock Shimano/SRAM offerings. The latter option is the one that Hope have gone down. The RX4 is available as an aftermarket upgrade for either SRAM or Shimano units. Externally the brakes look the same, but there are internal differences to deal with the different master cylinders and mineral/DOT oil differences. 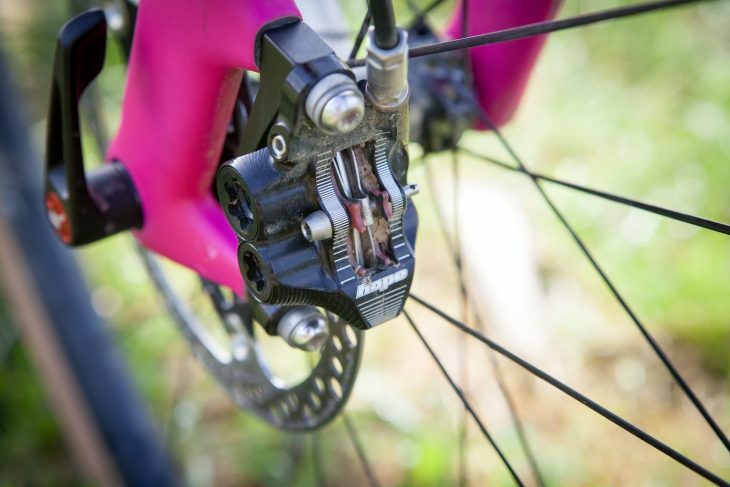 Both variations of the brake are available in post and flat mount options. The major difference between the RX4 and both stock Shimano/SRAM calipers is the use of four pistons to drive the pads. Hope claims that the RX4 offers greater piston retraction, essentially meaning greater clearance between pad and disc… and therefore a quieter ride with reduced rubbing and more space for crud to clear out. The caliper itself is machined as one piece, theoretically making it stiffer, which should make lever feel crisper, with all power being transferred to braking forces rather than flexing the caliper. 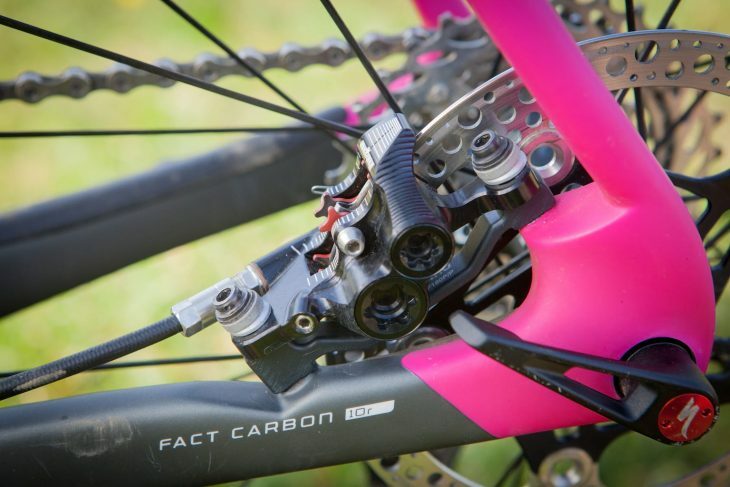 Hope claims that the caliper weighs 123g – our SRAM post-mount replacements came in pretty much bob on. A quick check of the Force caliper it replaced revealed it weighs 88g – so you are adding around 70g in total. Minimal in the grand scheme of things, but will disappoint some who would like an upgrade to save them weight. What else sets the RX4 apart from the two big-Ss? Well, Hope being Hope offers the RX4 in a range of anodised colours – which of course match its headsets, seat clamps and other trinkets. We also ran the Hope floating road brake rotors. These come with rounded edges to prevent any crash-related peloton mishaps, but are otherwise near identical to Hope’s MTB floating rotors. The calipers will work perfectly well with stock rotors though. These are the organic pads. The box comes with sintered too. The RX4s come with a pair of organic and a pair of sintered pads. I chose to run the organics, as I have always preferred the feel that organic pads offer. As the brakes come as just a caliper, there is obviously a little more to fitting than bolting them on the bike and off you go. The RX4s come with everything you’ll need to attach them to your existing hoses. 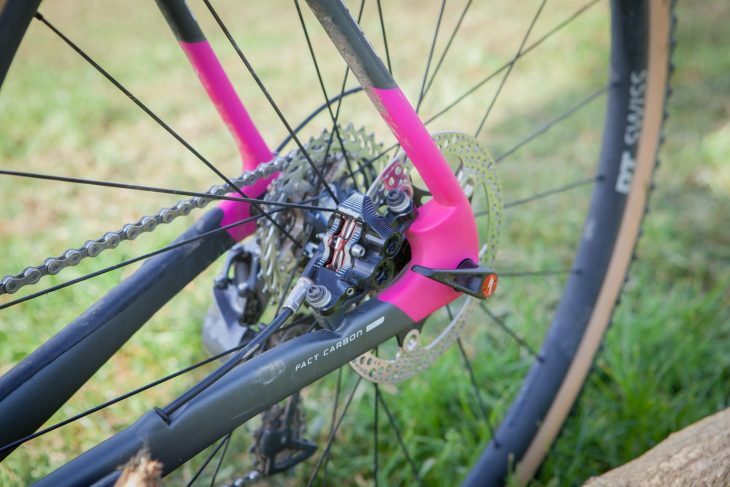 Bleeding was as straightforward as with the stock SRAM calipers, although it took a couple of attempts to get the front feeling as firm as I wanted – I put that down to my rustiness in bleeding the brakes rather than a fault of the caliper. Finally, it is stating the obvious, but worth noting that you will need some more of whatever oil your brake takes to complete the fitting/bleed. The RX4s took little time to bed in, and felt up to power after a couple of short, sharp stops. It would be a lie to say that there was any immediate night and day difference in performance. Lever travel and feel felt similar, as did overall power. 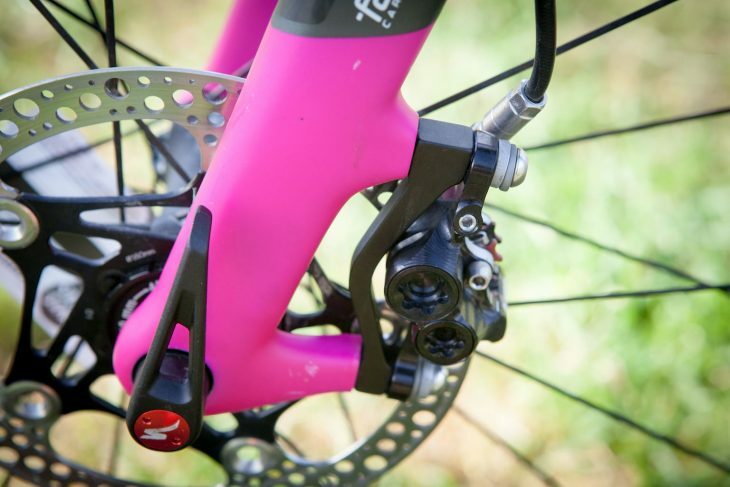 This is certainly no bad thing – I like the way that SRAM brakes perform. Over time, I began to appreciate some subtle differences. The RX4s feel marginally more powerful that the stock SRAM brakes, especially under hard braking. 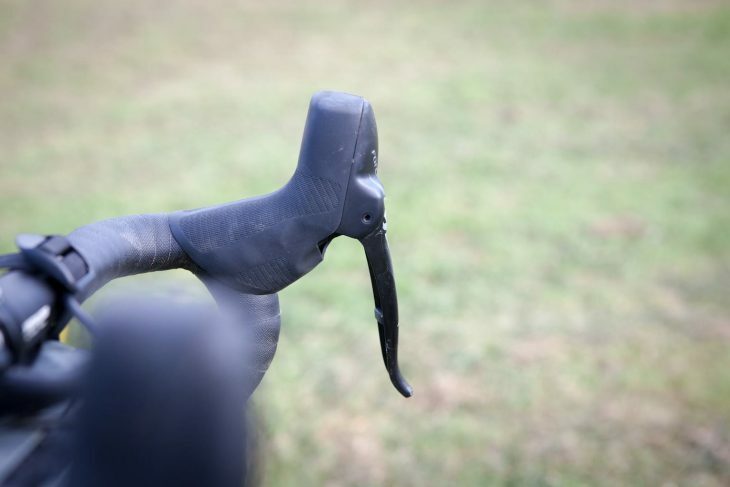 This also corresponds to a little more bite when first applying the brakes – actually feeling a little more Shimano-like in some ways, but with more modulation throughout the rest of the lever pull. Riding through some pretty grim conditions, the Hope brakes are definitely quieter than the SRAM calipers they replaced. After splashing through a gritty puddle, it seemed to take less time for the Hope to lose the familiar gritty, grating soundtrack that most of us will have had to endure all winter. It certainly doesn’t remove the issue altogether – don’t expect a completely silent ride in all weathers, but things are definitely better. The RX4 is also available in the usual Hope colour options. Lever feel remained more consistent on long descents than with the SRAM calipers (which I’ve found firm up at the lever slightly after long, steep descents that require a lot of braking), but there was a little of the familiar firming up after a while. Absolute braking power wasn’t affected though. After many months of grim, grim conditions the RX4s are still on their original pads – long after I would normally have expected to have had to swap out stock SRAM ones. So many different factors influence pad life that it would be unfair to draw conclusions from a single set, but I was impressed nonetheless. It’s also worth noting that as with all Hope components, should anything go wrong, they sell spare parts to allow the caliper to be repaired rather than simply consigned to the bin – something that in a throwaway age is refreshing. This is the question that I have kept returning to throughout the duration of the test. Sure, the RX4 calipers are very good, probably slightly better than the SRAM (or Shimano) ones they replace. I certainly won’t be removing them now the review is done. But, are they worth spending nearly £95 an end on, assuming you already have a full SRAM set up? Hmm, I would personally find other things to spend my money on first. If you want to have something a bit different, love Hope, want to add some colour to your bike, then by all means upgrade, I doubt you’ll be disappointed. Good looks and a small performance improvement come at a price. The RX4s are, in many ways, a completely unnecessary bit of expenditure on your bike. They don’t bring overwhelming performance improvements, nor do they add extra features. That doesn’t make them a bad component though – completely the opposite, in fact. The RX4s are a very nice bit of kit that works very well, with few downsides. Only you can decide whether they are worth your money. Reviewed: Compass Steilacoom tyres – the perfect UK "gravel" option?